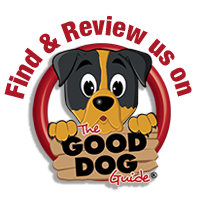 "The very best service we could have wanted at extremely good rates"
"I have recently had the occasion to find a dog sitter at very short notice. I found Eleanor to be kind, considerate and professional. I had no scruples about leaving my beloved dogs with her. She looked after them as well as I could have done and their every want was met. I would not look for another sitter because I know I could not find a better one. Thank you Eleanor, you are truly wonderful and my heartfelt thanks." "Eleanor looked after our two Jack Russel crosses and two cats while we went on holiday for ten days. During the holiday Eleanor sent us regular updates, pictures and videos which were a massive help as we did miss them a lot! When we got home the house was immaculate and the dogs were fine and hadn’t really missed us at all! We would definitely book Eleanor again and we’re really happy with the whole experience"
"I know that I am a bit of a picky cat lady but my 3 cats mean a lot to me. I have had bad experiences both with catteries and cat sitters so was wary about trying again. However, having read Eleanor's reviews, I can confirm that she really is great. My girls were all relaxed when I came home from my long weekend and the house was cleaner than it was when I left! Eleanor provided text updates and pictures to show just how relaxed the cats were. A really exceptional service at very competitive rates." "We have known Eleanor for several years and have had her to sit our three cats (who love her more than me I think) since she began her sitting business. A HUGE THANK YOU for making our holiday totally stress free, we have just come back from a three week holiday to find our three cats happy and content and the house immaculate. We agreed for Eleanor to paint our garden fencing while we were away and it was amazing to see it all finished to a very high standard when we returned." "We have just returned from a week’s holiday during which Eleanor looked after our 2 rescue dogs. This is the first time we have used a dog sitter and I chose Eleanor as I thought she would suit our rather difficult rescue dogs. One is very hyper and the other scared of everything. The scared one who normally takes days to get used to strangers wouldn't leave Eleanor's side after about 2 hours in her company. The dogs loved her, and I will certainly be using her again- if she will come back! Thank you Eleanor for taking such good care of my boys x"
"We booked Eleanor to look after our two Bedlington Terriers whilst we went to the Races. It gave us the peace of mind to have a fantastic relaxing day knowing that Eleanor would look after our beloved pets. Eleanor sent us photos to show how Sully and Alfie had taken to her. We strongly recommend the services that Eleanor offers worth every penny, to have peace of mind and know our dogs are happy at home with someone we trust and can rely on"
Take a look at our Facebook reviews!